Nicole and I always said that once Holden's heart issues were stabilized, we were going to do more for the CHD community. This past December our family took the steps to create a foundation in Holden's name to assist us financially when we had to relocate to Gainesville. With his passing, we are still going through with their plans, but changing the direction of the foundation to carry on Holden's fight and spirit. As many of you know Holden always enjoy his wagon rides, (or parades as it was sometimes called). We'd take him all over the place, and the slightest pause was greeted to with a quick command of "Go!". As his health declined, the number of IV’s he required sometimes limited that wagon time, or made it difficult to travel because of the number of people needed to participate. It was tough for him, because Holden needed that time. It was his his time. We are going to take a portion of the initial money donated to the Holden Flynn Fund and purchase of some wagons and cars fitted with IV poles for the hospital. We want to give other hospitalized children the opportunity to go on parades and experience those same joys and freedoms that Holden felt regularly. The ultimate goal of the Holden Flynn Fund is to create a foundation that will honor the spirit of our son and his battle with CHD. The ball is rolling, and in the coming weeks and months we will have more details as we assemble the appropriate paperwork. If anyone wants to assist, please feel free to email us, and we'll be in touch in the future. Please feel free to share this with your family, friends, etc. With heavy hearts, we write this. At 3:30 PM yesterday Holden Joseph Flynn passed away in the loving arms of Nicole and with family by his side. 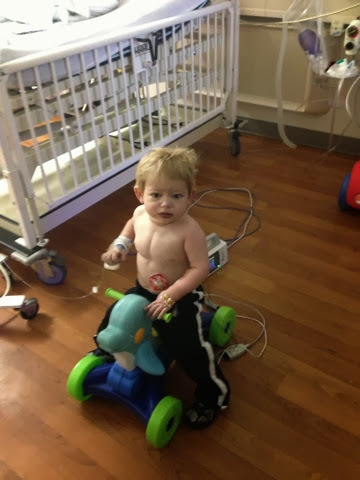 He lost his battle with congenital heart disease, but fought like heck until the end. We will miss our son. 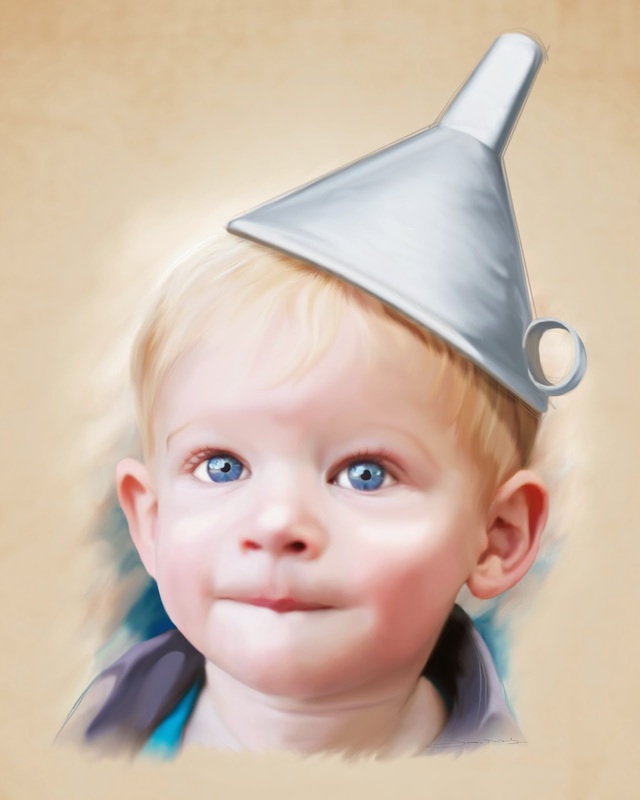 Our Tin Man. Our hero. Holden? He didn't make it to 7:30pm, much less midnight. Mom and dad conquered dinner at a local establishment. While driving back to the temporary abode we drove past the campus at the University of Florida. In our years at the school, we were never around for New Years, so checking out the campus life on this kind of night intrigued us. There were maybe 5 students in town on New Years Eve. 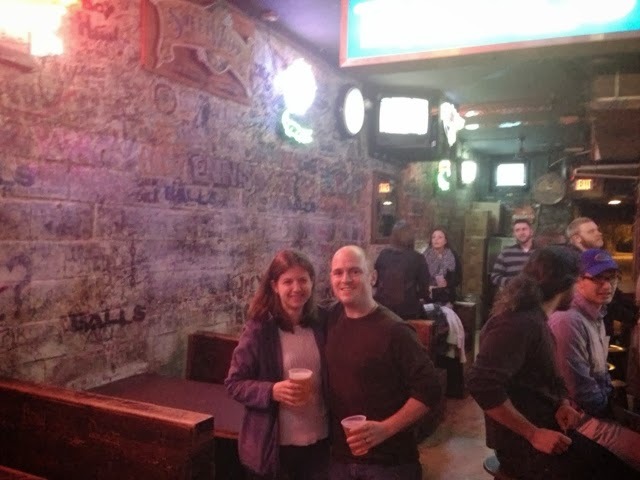 Every establishment across from campus was closed...except for one spot...When we saw the lights on we pulled over and walked into one of our old college stops for a beer. It was nice. First time we got a spot on the street up front, and the first time we got a booth. We even ordered the Natural Light or whatever skunky swill they had for $1. You'll see in the picture below, it was relatively empty. Despite those shenanigans, we didn't last long, and found ourselves back at the temporary abode to watch the ball drop. I called at 11:45 to check on Holden, telling the nurse we were going to bed. When she asked why we weren't staying up until midnight, I replied, "We are, but only to make sure the world didn't end."